Quote To Live By: “There are only two ways to live your life. One is as though nothing is a miracle. The other is as though everything is a miracle.” – Albert Einstein. 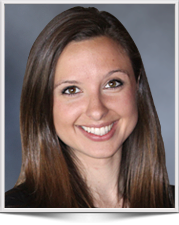 Kaity Templin has several years of experience in the NYC financial industry. Prior to joining EHS Support, Kaity began her career as an investment banking analyst at a leading sell-side merger and acquisition advisory firm in NYC. Her experience includes developing and managing lead and client relationships as well as leading the marketing and business development initiatives for EHS Support’s Mergers & Acquisition Due Diligence practice. She also assists in CRM management and market research.